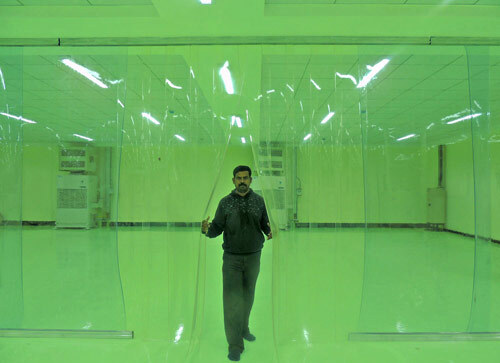 Pvcstripcurtains.com is the leading pvc strip curtain suppliers and dealers in chennai, India. Our pvc strips and mounting hardware are known for their distinctive quality and accomplishing the specific requirements. Our mounting hardware is made from superior quality galvanized aluminium or stainless steel for performance, strength and durability. We provide all kinds of pvc strips, mounting options and technical assistance from planning to installation of pvc strip curtains. Our wall mounting hardware is dynamic in design so you can fit it with any standard nut and bolt combination. Our strip door hardware comes with studs spaced at every 2 inches, ready to fit most of the pvc strips available on the market. Wall mounting rails also comes with holes evenly spaced for easy drilling and installation. 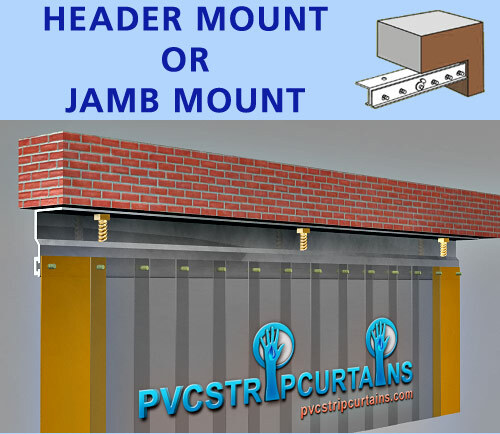 In this method pvc strips are mounted under the ceiling, or within the door frame (jamb). Header mount is usually employed when the space outside the door is cramped and limited. Header mount also reduces the door height and becomes difficult for the vehicles or objects to pass through. 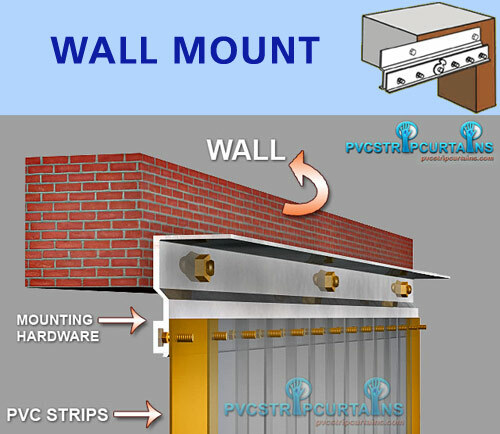 Wall mount hardware is the most widely applied pvc mounting system and it is usually placed above the door, fitted to the wall. An extra 2 inches for length and 4 inches for width is increased to ensure that the pvc strip curtain completely seals the door. It is a dynamic pvc strip mounting tool which can be used to mount pvc strips either to the wall or the jamb. This option is used when the customer is uncertain about the strip hanging needs or ordered multiple strip doors with different strip mounting needs.